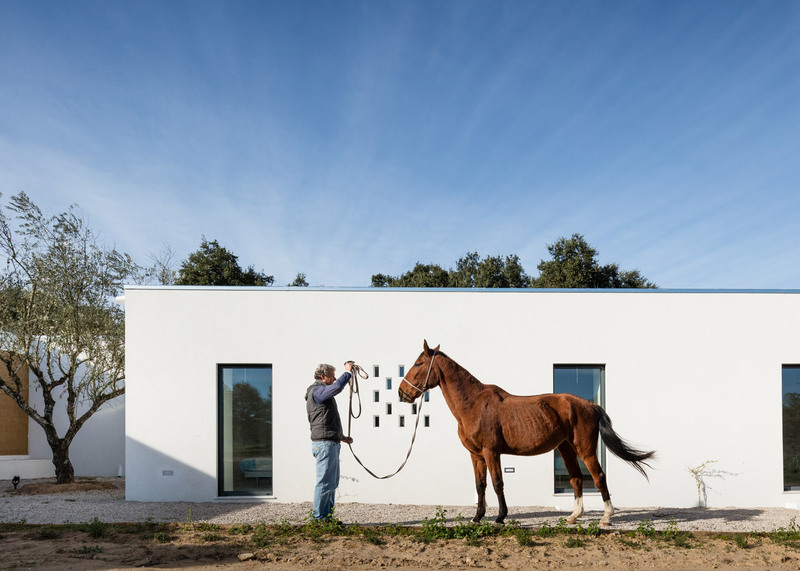 Layers of compacted earth form walls for this house by architecture studio Blaanc, which is set in the middle of a vineyard in Portugal's Montijo municipality (+ slideshow). 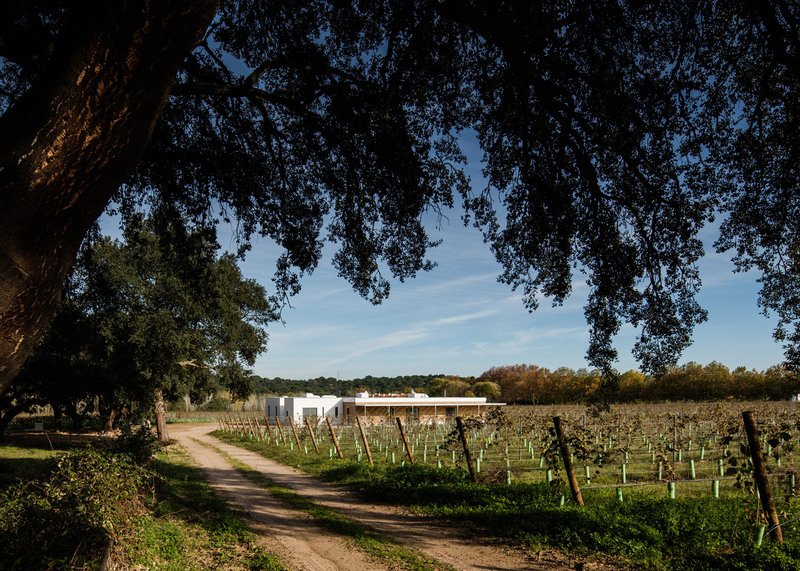 Named Vineyard House, the single-storey building comprises three interlocking volumes, which separate living spaces from bedrooms and a home office. Two blocks feature white-rendered masonry walls. 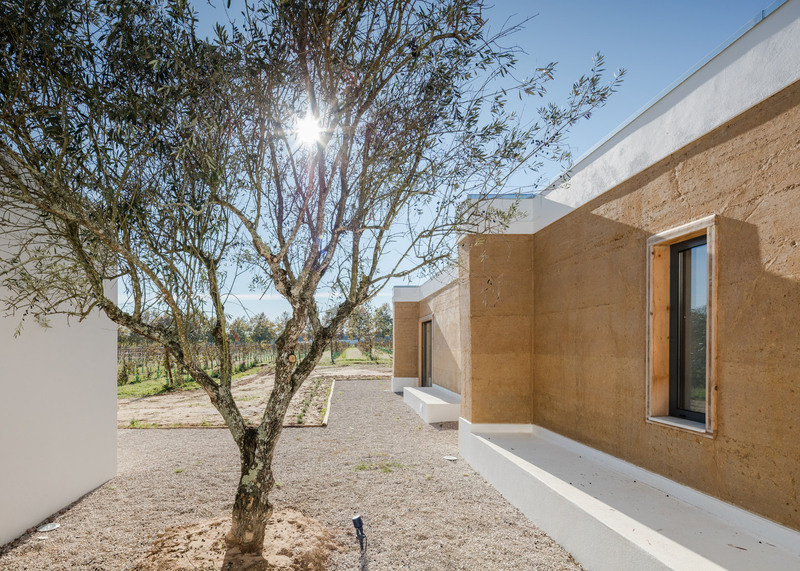 but the third is built from rammed earth – a material that has seen a comeback thanks to new projects by architects including Herzog & de Meuron and Tatiana Bilbao. 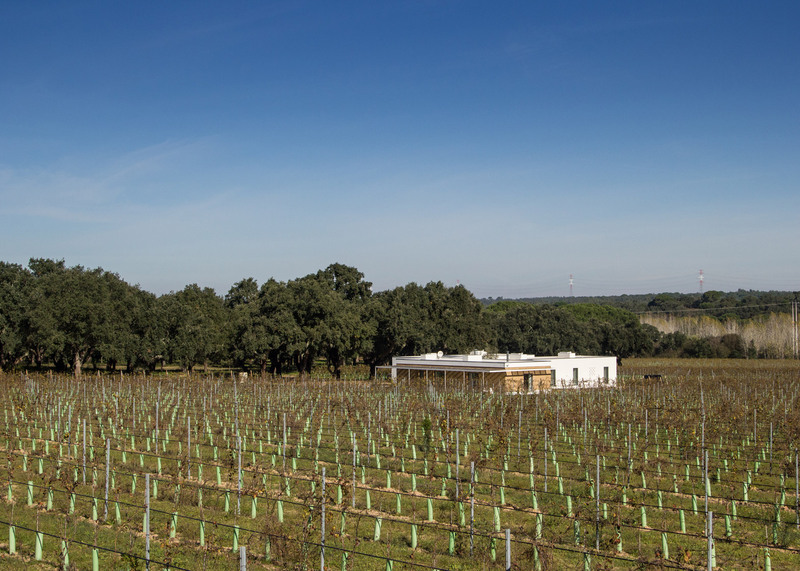 The 319-square-metre residence was designed by Blaanc – an architecture studio with offices in Lisbon, Perth and Rio de Janeiro – for the family vineyard, which is located on the edge of a cork oak forest. "The calm and serenity of the surroundings welcomes the one storey building, which tries to interfere as little as possible with the landscape by aligning alongside the natural elements that compose the peaceful backdrop," said the architects. 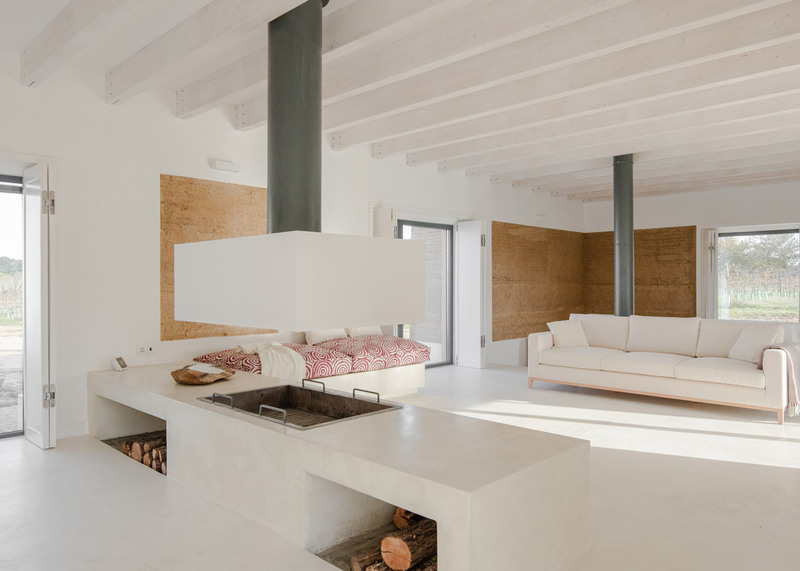 A dining room, kitchen and sunken TV room are set in a rectilinear block with rammed-earth walls. 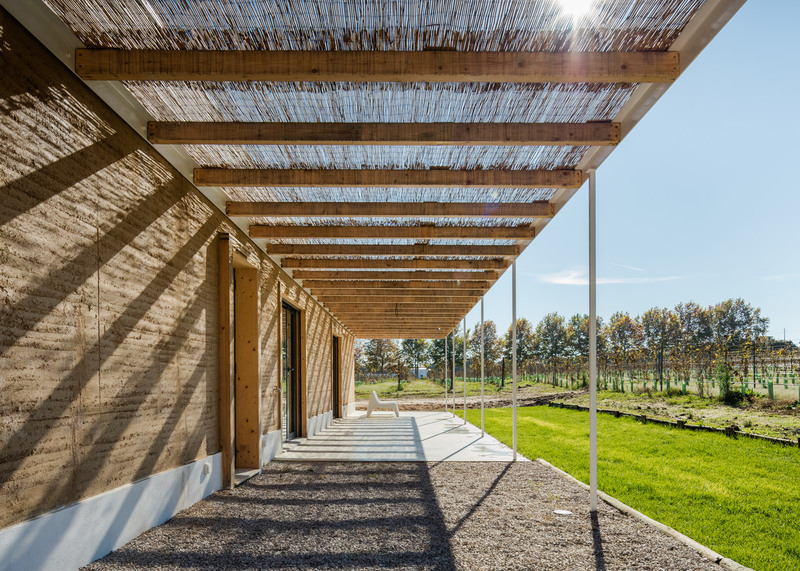 A long terrace with a slatted sun screen runs alongside the block and functions as an extension of the living space. 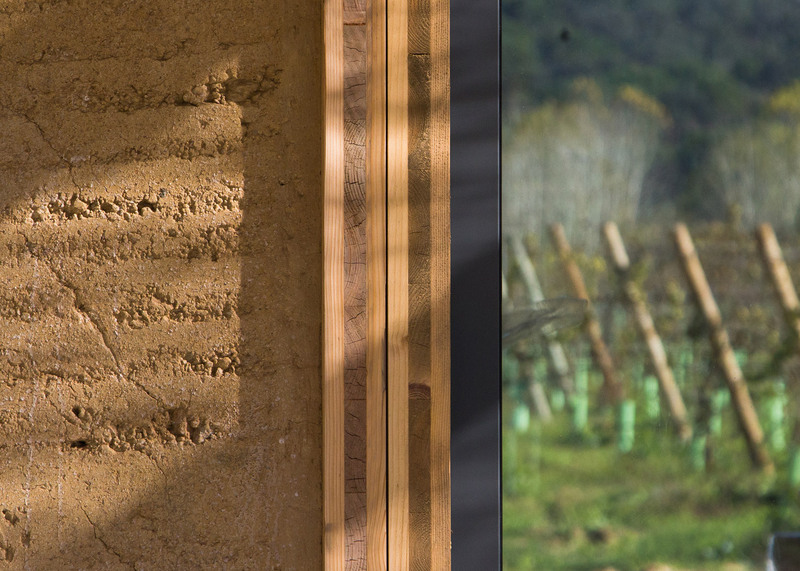 Its rammed-earth walls, combined with the slatted screen, help to provide a cool interior environment in summer and mild in winter. 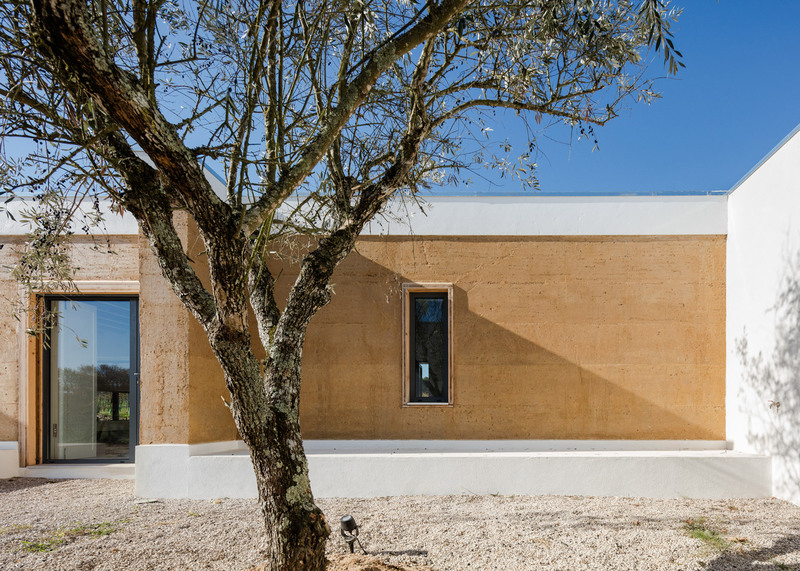 "The option to build part of the design in rammed earth was due to the confidence in the added value that the technique represents both environmentally and aesthetically," explained the architects. "The intention was to combine tradition and modernity, seeking to take advantage of the best of each." 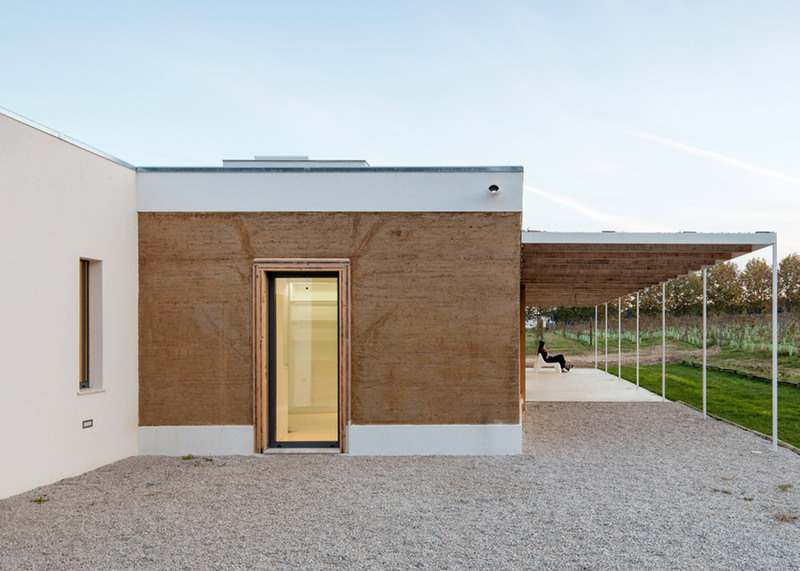 Earth with a high sand content was collected from both the estate and a nearby site, and compressed mechanically within wooden formwork to create the freestanding walls. 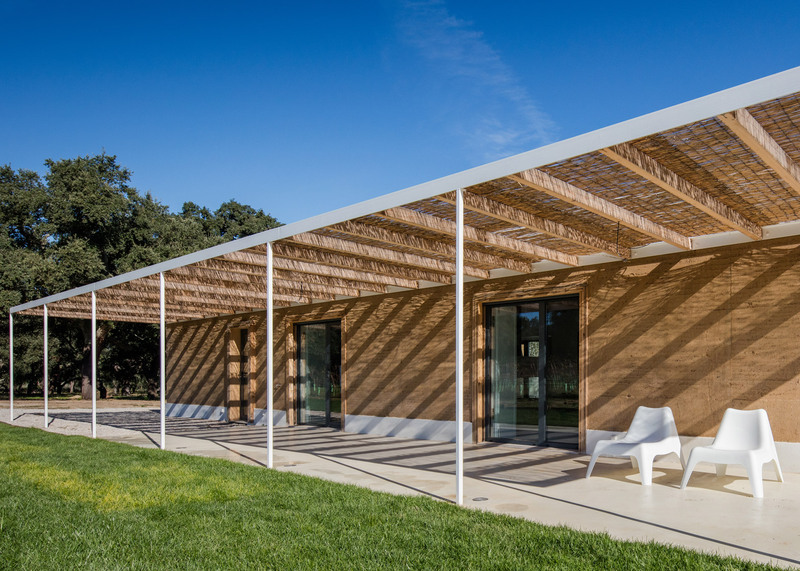 Layers of fibreglass mesh added between the layers of compacted earth help to provide structural support, while two buttressed and door frames made from laminated wood act as further strengthening and bracing elements. 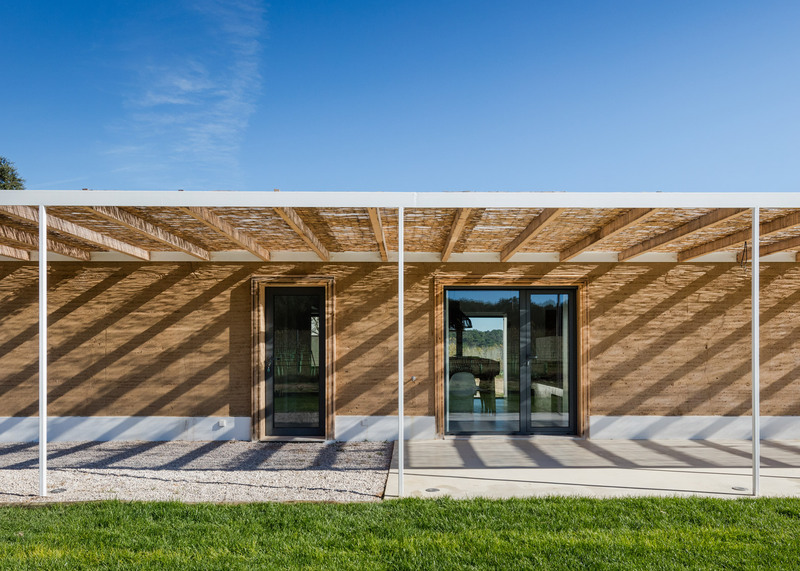 The rammed earth is left visible across portions of both the interior and exterior, and are protected by an overhanging roof made from laminated wooden beams. A coat of water glass and casein – a protein substance – was also added to protect the earth surfaces. The other two volumes have a concrete structure and plastered brick masonry, which has been painted white to match the existing buildings on the estate. Six bedrooms and corresponding bathrooms are set in an L-shaped block, and connected to the living rooms by a corridor and a small volume containing an office. Bedroom windows overlook a pair of patios, which are set between these two blocks.